Christmas is just over two weeks away, and if you haven’t started thinking about what to buy for your friends and families, you really should be freaking out right about now. As we’ve mentioned repeatedly, Christmas shopping is one of the things we dread the most in our annual calendar, and the fact that everyone else seems to be posting pictures of their holidays (while you’re at work) only makes this season harder to get through. If you’re really clueless about what gifts to get, Lazada has teamed up with SurveyMonkey to find out what exactly Singaporeans would hate to get for Christmas this year, as well as how much you should be spending on a present for your significant other. This should help narrow down your options quite significantly. So if you were thinking of getting Mum some plastic jewellery (seriously, why?) 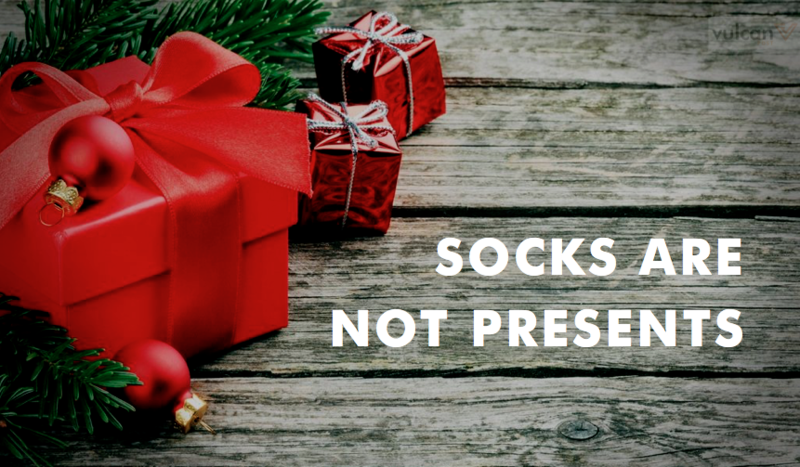 or Dad some socks (shame on you), it’s probably a good idea to start thinking about alternatives. And quickly.